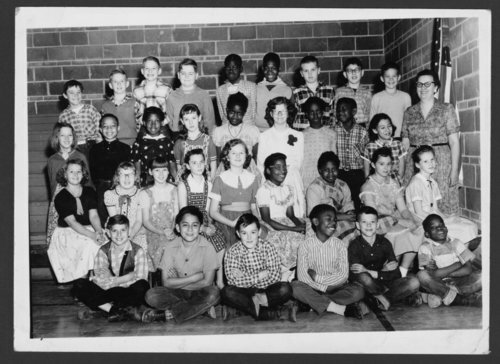 This is a photograph showing fifth grade students at Belvoir Grade School in Topeka, Kansas. The children are identified on the back of the photograph. The teacher was Mrs. Boaz. It was an integrated classroom.